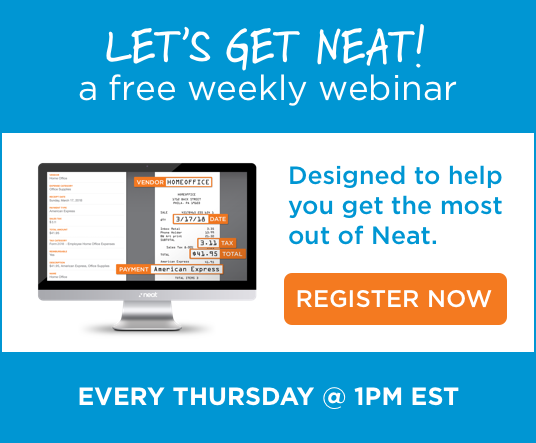 Neat software is jam-packed with features designed to make you more productive, eliminate time-consuming bookkeeping tasks and protect your business against IRS audits come tax time. We provide the most features relative to price of any solution in our industry. Explore the powerful yet cost effective features of Neat below. Scan your receipts, invoices, business cards, and other documents into Neat!